Need a Van for your expanding tour company? Does your Church, School or other organization need a Van for activities or to shuttle members to events? Drive your visitors in this 2015 Chevrolet Express Van, with 15 Passenger seating there's plenty of room to insure your visitors will ride in comfort. There's plenty of power to get up to the summit of Mauna Kea with an 341 horsepower 6.0-liter V-8 Engine with a 8 speed Automatic Transmission. 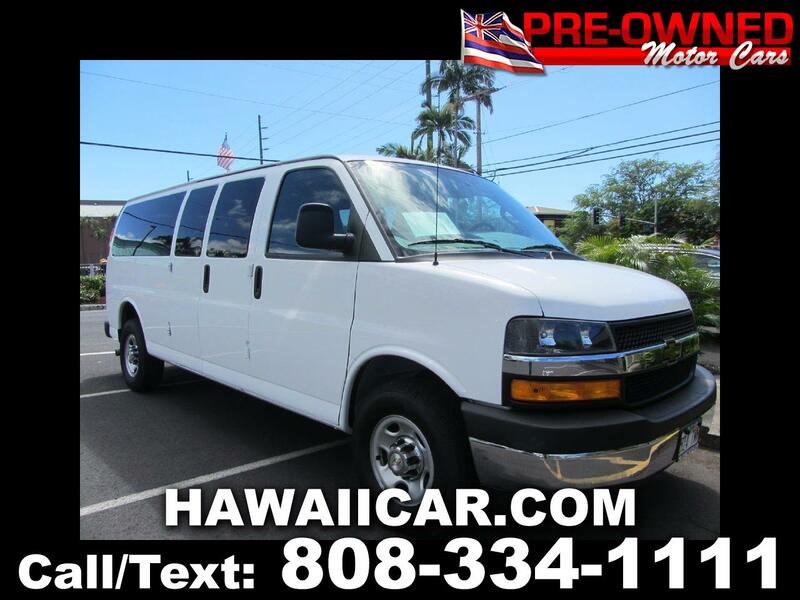 Come on down to Pre-Owned Motor Cars and test drive this Chevy Express and use in for your next tour!